You have probably seen advertisments for The Smile Train on TV or in Magazines. 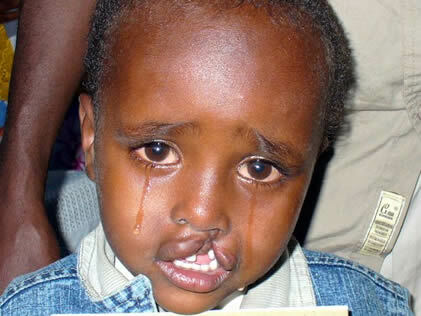 They raise money to fund surgery for children with unrepaired clefts. Well, guess what? You can help this organization with just a few seconds of your time. April 5th-9th upload a picture of your smile to Tweet My Smile. $1 will be donated for each picture uploaded. $1 a person adds up to a lot of money! We can help make the world a better place for some children. So, upload your pictures now. In addition to helping out a child in need, if you upload a picture you will be will also be "eligible to win covetable goodies from brand donors, including Ugg Australia, Nine West and Rachel Leigh Jewelry." I want to Thank any of my readers that take the time to do this. Disclaimer: I was not compensated in any way for this post. I posted this to share with my readers and support an organization I believe in. The above picture is property of The Smile Train.